Vehicles are increasingly taking on the task of driving themselves, using new drive systems to get to their destinations, simultaneously becoming the centre of their users' digital lives. The technology company Continental will be at the Consumer Electronics Show in Las Vegas from January 9–12, 2018, to present an exclusive exhibition showcasing to its customers how automation, connectivity and electrification are converting not only vehicles but also mobility as a whole into a new kind of living space. 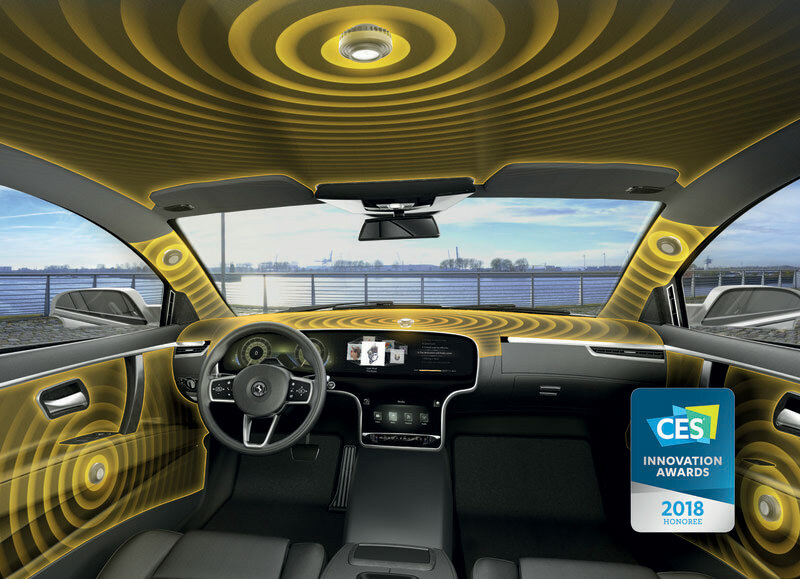 Even before the CES, two of Continental's latest developments were recognised with CES Innovation Awards. The Ac2ated Sound speakerless audio system - image, above - was announced as an honoree in the In-Vehicle Audio/Video category. Ac2ated Sound replaces conventional speakers with actuators. Using a principle similar to that employed in string instruments, the actuators create a high-quality 3D audio experience by vibrating certain surfaces inside the vehicle. Meanwhile, Continental Air Supply (CAirS) - image, below - was recognised as an honoree in the Eco-Design and Sustainable Technologies product category. The highly integrated air supply module not only simplifies vehicle installation but also saves energy. To ease installation, the compressor, valve block, electronic control unit, and temperature and pressure sensors are all in one compact module. Its small size reduces weight by 25 percent compared with conventional components and therefore decreases energy consumption, which supports more sustainable and ecological mobility. In order to bring the user experience of the digital world into the car, Continental turns the entire vehicle into a digital companion using artificial intelligence. Based on deep machine learning algorithms, the digital companion remembers and interprets the user's behavior, adapts navigation or infotainment offers, and even anticipates the wishes of the driver. To enable a natural conversation between the driver and the vehicle, Amazon’s cloud-based voice service, Alexa, has been linked to several vehicle functions to support, for example, an interactive user manual that immediately explains to the driver the meaning of warnings or error messages. Depending on the warning and based on the driver’s user behavior, the digital companion offers smart suggestions on how to proceed. With the Holistic Connectivity demo vehicle, Continental is demonstrating a new level of user experience. The solution is based on service-oriented architecture that makes it possible to provide new functions quickly and securely, including content and services from third-party providers. There is an integrated digital travel guide to supply drivers with context-based, dynamic and interactive information on navigation, infotainment, travel services and vehicle assistance using a timeline on the centre console, or via voice output. With the integrated cockpit system, Continental will be demonstrating how futuristic premium design can be realised for vehicle interiors. Beneath large, curved glass surfaces, the cockpit assembles an array of displays and touchscreens covering the entire width of the vehicle to form a complete system, ranging from the digital side mirror to the central display. 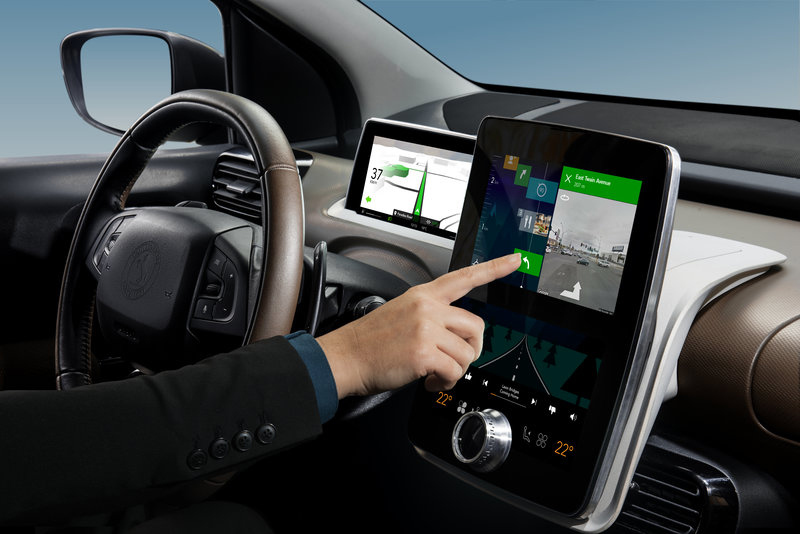 Meanwhile, force measurement and haptic feedback from the displays and an interior camera for monitoring the driver ensure a comprehensive user experience, ready for deployment in the next generation of vehicles. Many drivers dream that one day electric cars and plug-in hybrids will be just as easy to “fill up” as vehicles with internal combustion engines. At CES 2018, Continental will be presenting two new battery charging systems that play well to the strengths of electric cars. For example, the newly launched automatic wireless charging system is the ultimate in convenience. This inductive technology dispenses with the need to play around with cables. Furthermore, the vehicle can find its exact position over the transmitter on the ground thanks to a new micronavigation solution from Continental that will be capable of working without any intervention from the driver, as partially automated driving continues to be developed. The second Continental innovation could revolutionize cable-based charging. The AllCharge™ system eliminates the need to search for a suitable charging station, as it is compatible with all charging stations irrespective of charging capacity, current type and voltage. In addition to its flexibility and performance, it offers the extra benefit of turning an electric vehicle into a self-contained rolling charger, ready for use at tailgate parties, on camping trips or on construction sites. Inductive charging solution includes vehicle positioning, electronic communication, charging management, safety monitoring and data retrieval.